Following his secondary school studies, Xavier Bettel pursued a higher education at the University of Nancy, where he was awarded a master’s degree in public and European law from the Faculty of Law, followed by a DEA (post-graduate diploma of advanced studies) in political sciences and public law. Following the legislative elections of 20 October 2013, Xavier Bettel was appointed Prime Minister, Minister of State, Minister for Communications and Media and Minister for Religious Affairs on 4 December 2013 in the coalition government formed by the Democratic Party (DP), the Luxembourg Socialist Workers’ Party (LSAP) and the Green Party (déi gréng). Following the resignation of Maggy Nagel from the government, Xavier Bettel was appointed Minister of Culture on 18 December 2015. 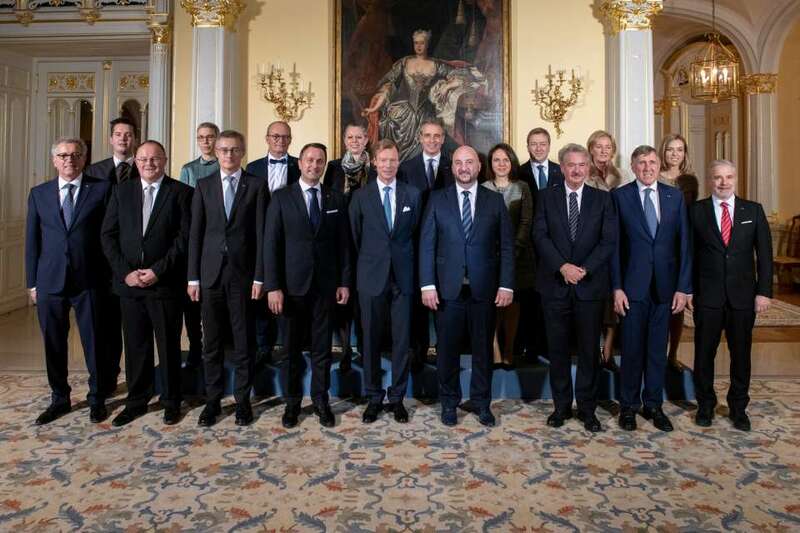 After the legislative elections of 14 October 2018, Xavier Bettel was appointed Prime Minister, Minister of State, Minister for Communications and Media, Minister for Religious Affairs, Minister for Digitalisation and Minister for Administrative Reform on 5 December 2018 in the coalition government formed by the DP, the LSAP and déi gréng. A member of the DP since 1989, at the age of 26, Xavier Bettel was elected to Parliament for the first time in 1999, as candidate for the DP in the constituency of the Centre. He was re-elected in 2004, 2009 and 2013. In Parliament, he assumed, among others, the role of vice-chairman of the Legal Affairs Committee from 2004 to 2013 and that of vice-chairman of the Committee of Inquiry into the State Intelligence Service from 2012 to 2013. From 2009 to 2011, he assumed the role of chairman of the DP parliamentary group. At local level, Xavier Bettel initially served as a municipal councillor for the City of Luxembourg from 2000 to 2005, then as an alderman from 2005 to 2011. Following the municipal elections of 2011, he assumed the role of mayor, an office he held until his appointment as Prime Minister, Minister of State in December 2013. From January 2013 to November 2015, Xavier Bettel was the chairman of the DP.